It was a long, cold winter across much of Canada, including the Prairies. At times it seemed like spring would never arrive. But it always does. For urban dwellers, spring’s delayed arrival is more of an annoyance than anything. But to the farmers who are anxiously waiting to plant the seeds that will grow into the crops that help feed the world, it’s a serious concern. 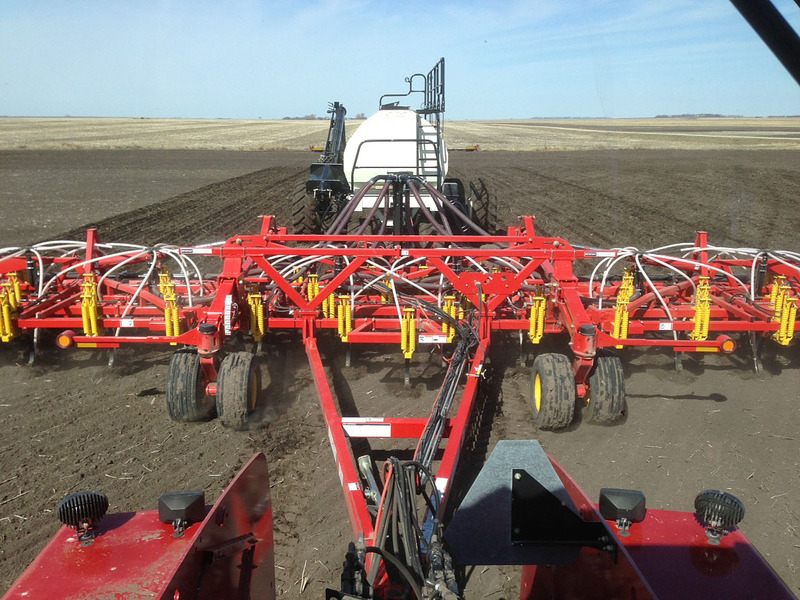 After a delayed start in some areas, #plant14 appears to be in full swing across the Canadian Prairies. 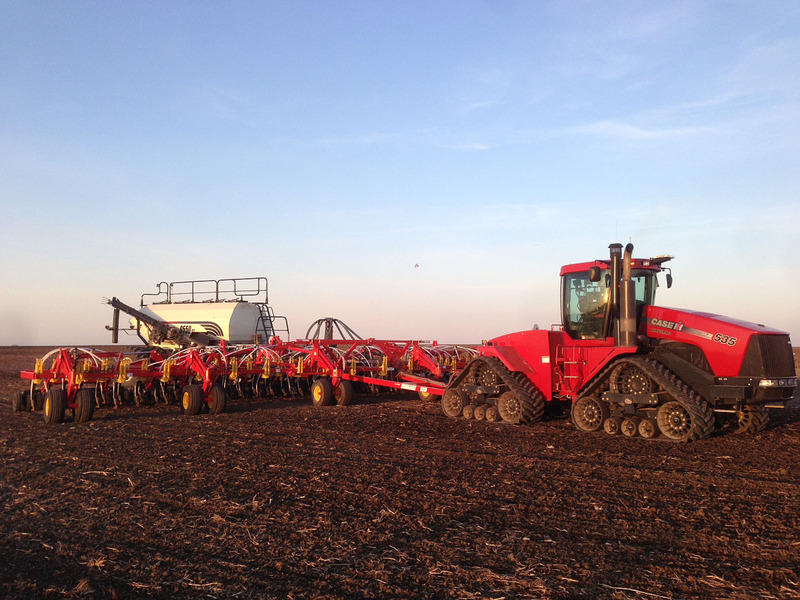 If you’re on Twitter, follow the hashtag #plant14 to read tweets from the field. While you may look across a wide open, bare Prairie field and see nothing but dirt, a farmer sees possibilities. Possibilities of tiny seeds growing into bountiful crops. Spring is the season of new life. And that’s what each tiny seed represents. 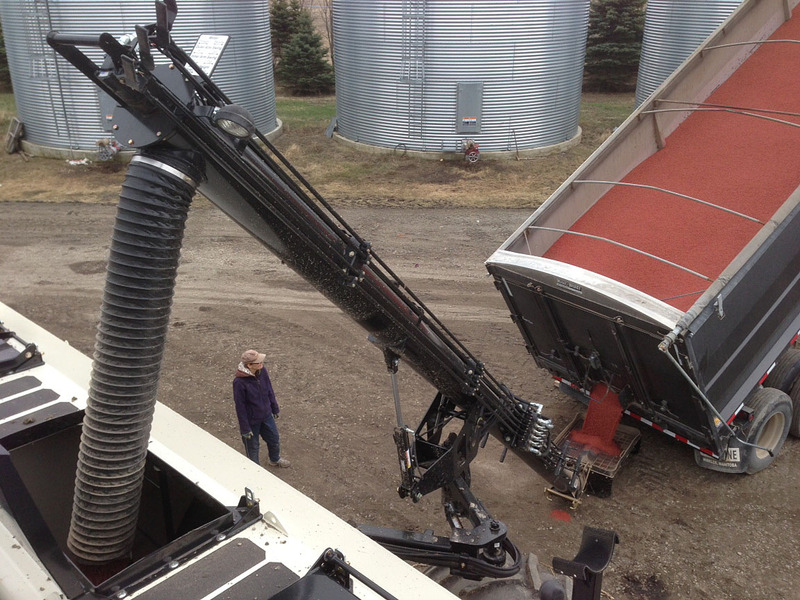 Loading wheat seed into the air seeder. The wheat seed is red because it’s been treated with a seed treatment that will help protect the seed from disease and insects, and provide stronger and faster emergence. In the driver’s seat. A view from the tractor cab. A tractor pulls the air seeder. This unit is used to plant the seeds. I love this prairie post! Are you in Saskatchewan? Thanks for reading and commenting. I live in Alberta but grew up on a farm in Manitoba.